Application: After removing non-washable or loose material, the dilution should be used to wash down the surface using a sponge, scrubbing brush or cloth. Allow to dry thoroughly, applying a second wash to badly soiled areas. Drying Time: 1-4 hours normally. Practical Coverage: 6-8m2/litre when diluted, depending on the porosity and roughness of the surface. Pack size: 250ml. 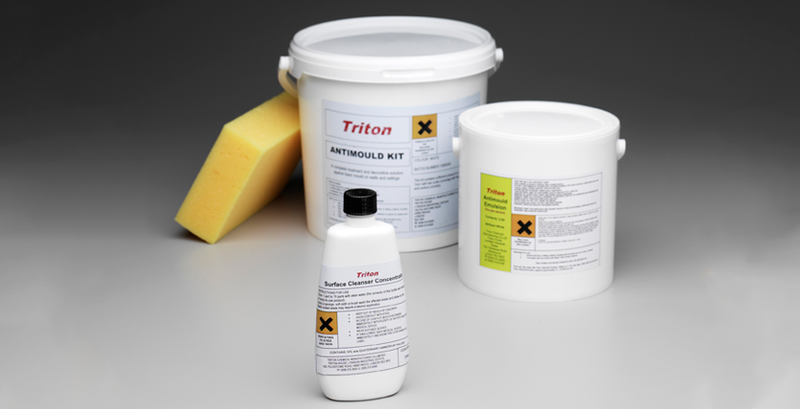 Supplied as a kit with Triton Anti-mould Emulsion.